Margaret Anne Wells was born in Statesboro, Georgia on November 22, 1928, daughter of Guy Herbert Wells and Ruby Hammond Wells. She grew up in the 1835 Mansion of the ante-bellum Governors of Georgia. The Mansion, as this elegant structure is known, served as the residence of the President of the Georgia State College for Women (now known as Georgia College & State University. Guy Wells was a much beloved educator and, perhaps more important, was for all his life an ardent opponent of racial segregation and bigotry. Anne graduated from GSCW, and then studied at the University of North Carolina at Chapel Hill, where she earned a second baccalaureate degree. She earned a Masters Degree from in Government from Harvard University. Having won a Rotary International Fellowship in 1950, she went to the London School of Economics to work on a doctoral dissertation on political education in the British Labor and Conservative Parties. On her return to the US, she married (October 13, 1951) Lewis M. Branscomb, whom she met while she was a graduate student at Harvard and Lewis was a Junior Fellow in Harvardês Society of Fellows. 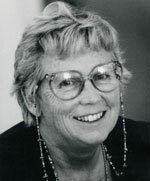 As Chairman of the Communications Law Division of the American Bar Association Science and Technology Section from 1980 to 1984, she organized a number of research and professional educational projects, the most prominent of which produced a book, Toward a Law of Global Communications Networks, which she edited. In 1983 she was instrumental in bringing lawyers into a legal forum organized by the International Telecommunication Union and served as Chairman of the Program Advisory Group for the Telecom '87 Legal Symposium. She has held academic appointments as Adjunct Professor of International Law at the Fletcher School of Law and Diplomacy and as Professor of Telecommunications Law and Public Policy at the Polytechnic University. During the summer of 1995 she was a member of the faculty of the Salzburg Seminar's series on International Intellectual Property Rights. Mrs. Branscomb served as a trustee of the Rensselaer Polytechnic Institute (the first woman on that board, thanks to Bob O. Evans). She also served on the Boards of National Public Radio and Educom, and was an ABA appointee to the National Conference of Lawyers and Scientists. She also served as a trustee of the Pacific Telecommunications Council. As a member of the United States Department of Commerce Technical Advisory Board (CTAB), she chaired a working group on developing human resources which produced, in 1980, a report entitled "Learning Environments for Innovation." She has served as a member of the Commission on Freedom and Equality of Access to Information, as consultant to the National Science Foundation, the Office of Technology Assessment of the U.S. Congress, the Department of State, the Rand Corporation, the Carnegie Corporation, the Aspen Institute, the World Bank, and other corporate and non profit organizations. She lectured to groups worldwide including: Japan, Singapore, Finland, Austria, New Zealand, Canada, Israel and the People's Republic of China. During the 1994-95 academic year she was a Scholar-in-Residence in the Annenberg Public Policy Center of the University of Pennsylvania, where she delivered the Annual Leonore and Walter Annenberg lecture entitled "Roadblocks to the Global Infobahn." In 1985 she was one of three inaugural fellows of the Freedom Forum Media Studies Center at Columbia University, in 1983-84 a Visiting Scholar at the Yale University Law School, in 1972 a member of the core group organizing the first sessions of the Aspen Institute Communications and Society program. Mrs. Branscomb was an honor graduate of the George Washington University Law School, held a M.A. in political science from Harvard University, B.A. 's from the University of North Carolina and Georgia College, an LL.D. (Hon.) from Notre Dame, and studied international relations at the London School of Economics as a Rotary Foundation Fellow. She was a member of Phi Beta Kappa and the Order of the Coif.